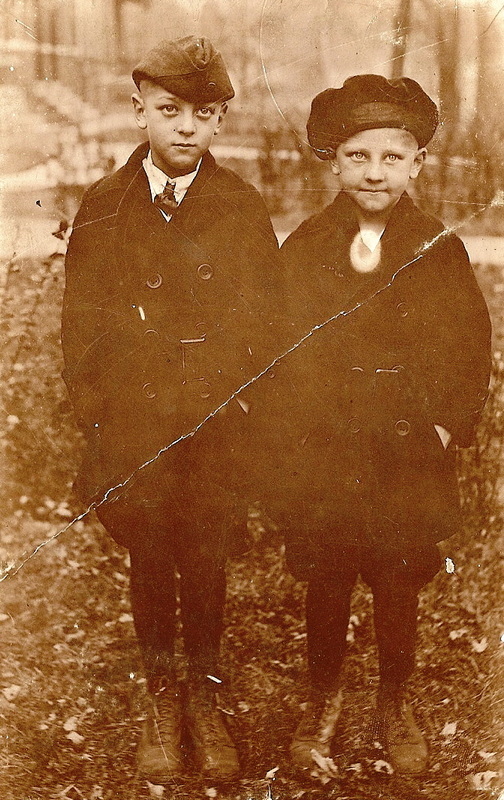 Ralph Martin Appel Sr. was born on November 6, 1887 in Fish Creek, Door County, Wisconsin. 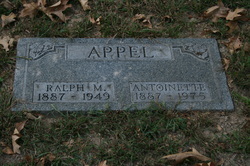 He was the second son of Axel Appel and Laura Kofoed Appel. 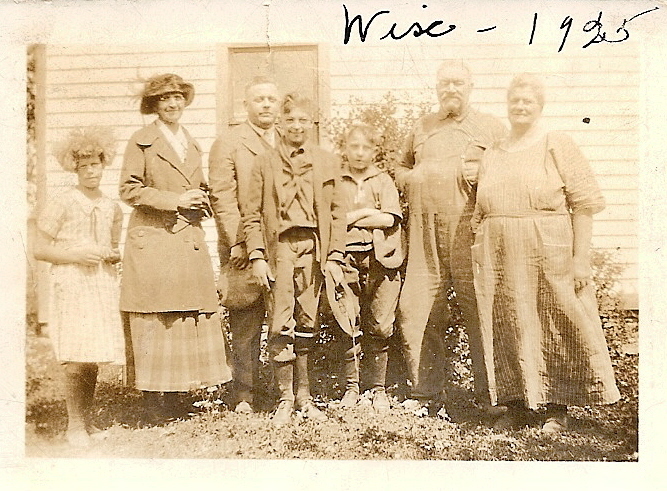 His early life was spent on the shore of Lake Michigan at the end of Appelport road where his father had a dock and a general store. 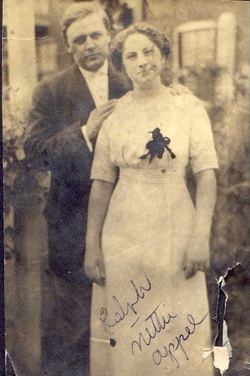 In 1893 due to an illness that his mother Laura contracted the family moved to Chicago with the hopes that she could be cured by doctors there. Unfortunately she dies in 1895. The family lived at 847 West Chicago in an area now call Westtown. It is in this area that Ralph must have attended school. We know little of his life during these years. At some point, his father married his brother's widow and two cousins, Henry and Cora and their mother Emily became part of the family. 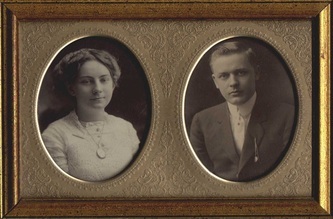 Ralph first became associated with Bell Oil in Chicago and in 1903 moved to St. Louis and is listed in the city directory as a driver living at 921 La Beaume. 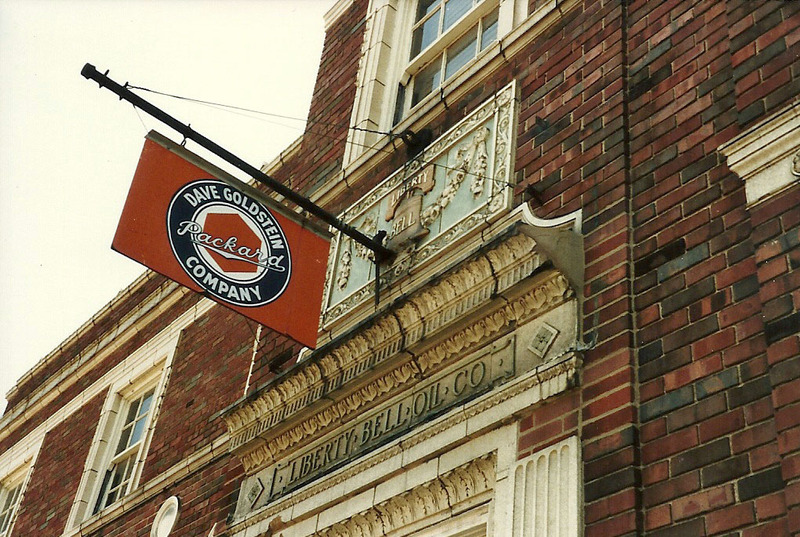 In 1907 the directory has him as the secretary at Bell Oil Company located at 53 Ferry Street. This company was owned by Frederick Bretsnyder, who is the husband of Ralph's mother Laura's sister Johanna Maria Kofoed. 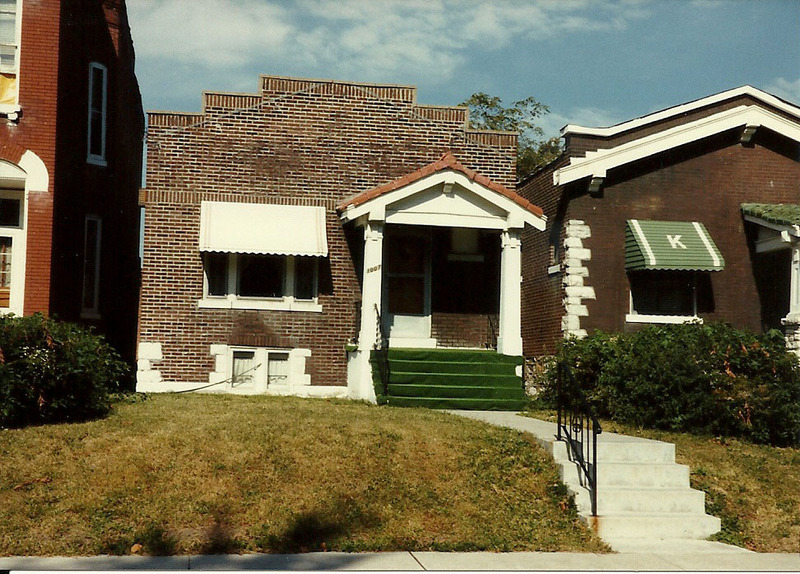 From 1907 to 1912 he lived with the Bretsnyders at 1420 E. Obear Street in St. Louis Missouri. In a book titled History of the Fourth City 1763-1909 Vol. 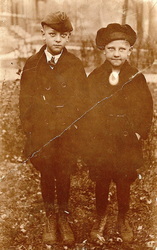 2 By Walter B. Stevens published in 1909 there is an article on Ralph Martin Appel. The article is below. Among it's many gifted and progressive young men St. Louis can boast of none more promising than Ralph Martin Appel, whose talents and enterprising have won for him an enviable distinction in the business life of the city. 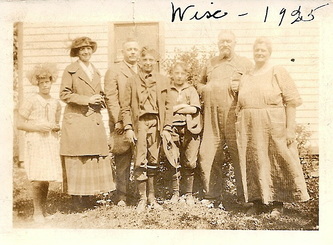 He is a native of Sister Bay WI, where he was born November 6, 1887. After receiving his education, chiefly in Chicago, where he displayed remarkable industry and aptitude for study, he embarked in mercantile work and successfully accomplished every task that his duties involved. His exemplary habits and pleasing personality have always attracted attention and gained for him the esteem and confidence of his employers and acquaintances. On May 18 1912 Ralph married Antoinette Wuthenow, daughter of Theodore Wuthenow and Antoinette Mohrstadt Wuthenow. He courted her at Shaw Garden which was located close to her parent's home. They moved to 4036 Sullivan where they lived for about three years. While living here their sons were born, Ralph in 1913 and Theodore in 1914. 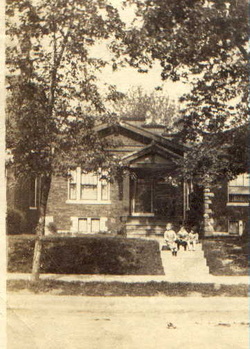 In 1916 Ralph and Antoinette purchased a home at 3007 North Taylor where the family would remain until 1935. 1931 he owns his own car. At some point there was an explosion and the oil company, at fault, was dissolved. 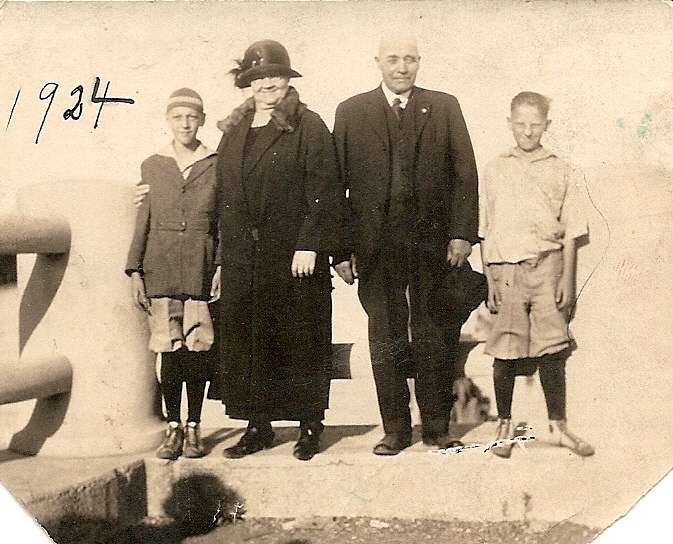 He continued in the oil business and is listed as the president of Motor Oil Company from 1923 - 1928. In 1930 and 31 he is listed as the president of Apple Brothers Oil Company. After 1931 he is listed as a sales person. 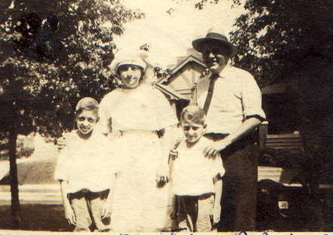 In 1935 due to some set back with the oil company, the Appels lost their home and moved to Greer avenues and later to Jennings road. 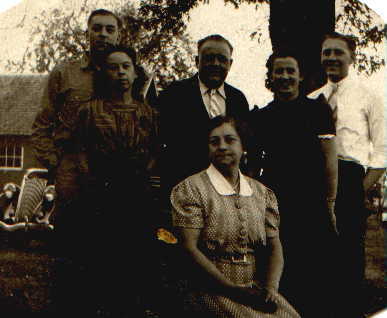 In 1940 they moved to Maffit and were located there through 1945. In 1946 they moved to Elmback in a flat in the building near where son Ralph and his wife Virginia lived. 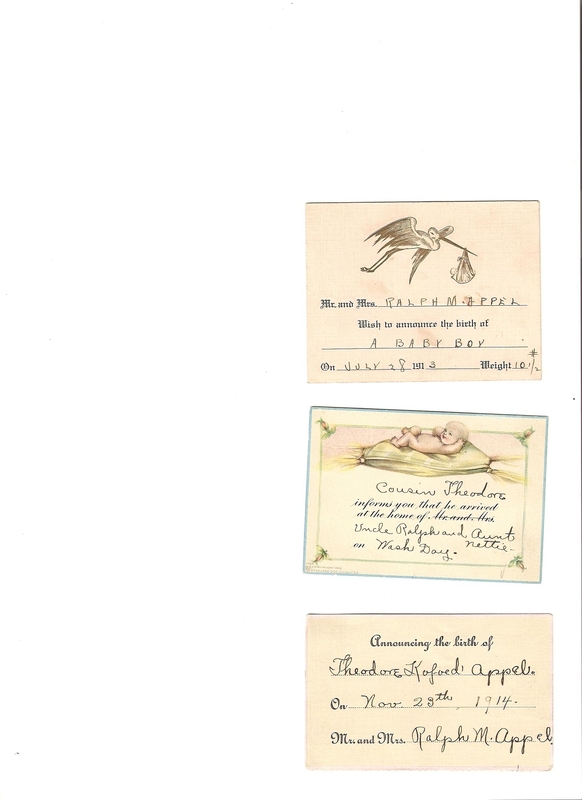 Ralph Sr. is listed as a shipping Clerk at Missouri Engraving and Printing. Ralph died October 3 1949. 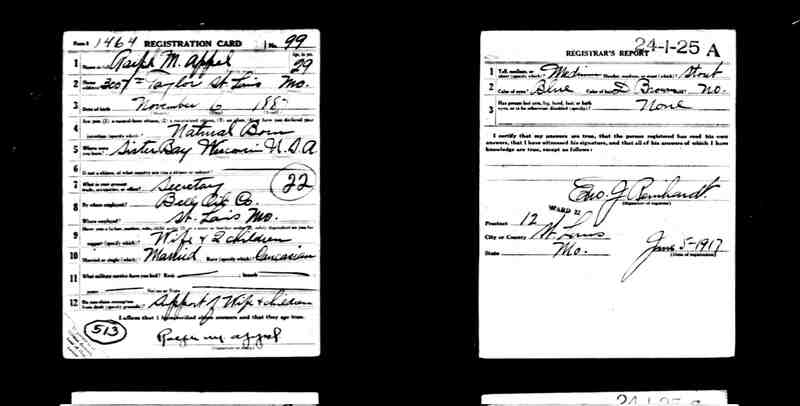 His death certificate lists the cause of death as Cerebral Thrombosis, a type of stroke. He is buried at Memorial Park in St. Louis County Missouri.